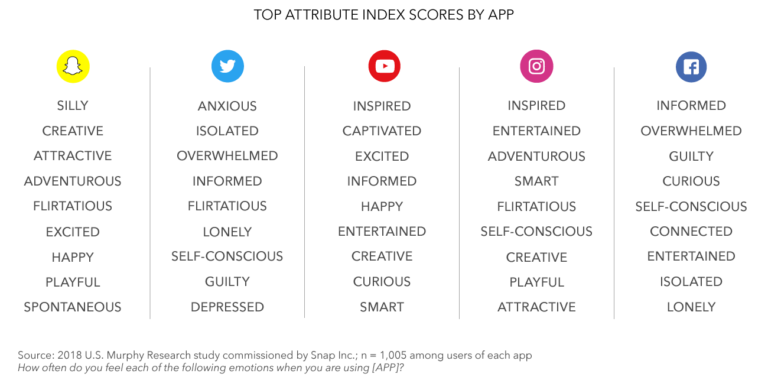 A recent study has come up which talks about how and why users who use social media networks feel that Snapchat makes the users happy when compared to social media giants like Facebook and Twitter. 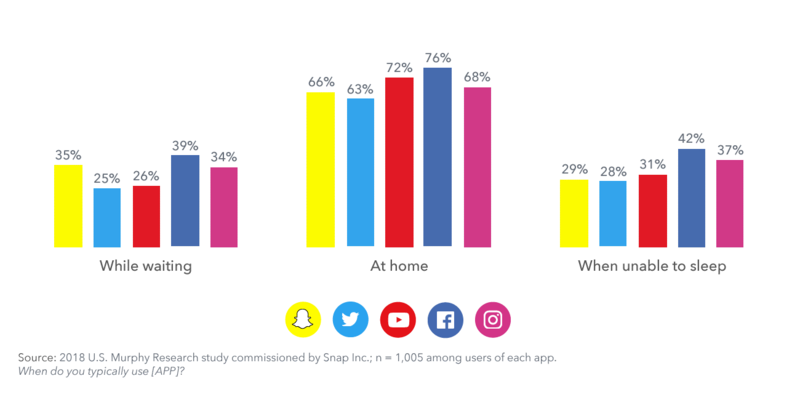 Snapchat commissioned an analysis with Murphy Research to understand how users spent their time on social media networks and what was the outcome of it. Results of this analysis are broken down into three different conclusions. 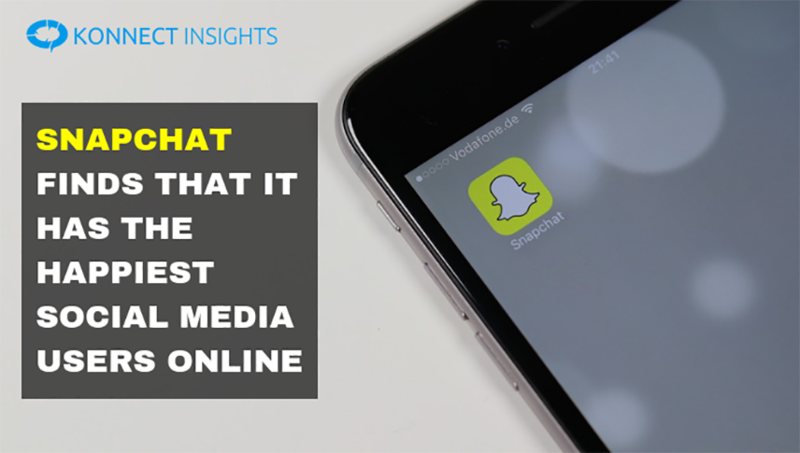 According to the first analysis made, 95 percent of Snapchat users stated the application made them feel joyful, more than any other application they have conducted a test on. Applications like Facebook and Twitter made users feel stressed, isolated, depressed and lonely. Instagram app mostly generated positive vibes and simultaneously it made users feel more self-conscious. YouTube was largely associated with positive emotions, which entertained users since it is the largest video sharing platform. Here’s a breakdown of how users felt after using different applications. Snapchat was used for discussions and sharing pictures and videos between close friends. Twitter for keeping up with current trending events, follow influencers and discussions. Facebook for sharing photos, keeping up with events, friends and family. 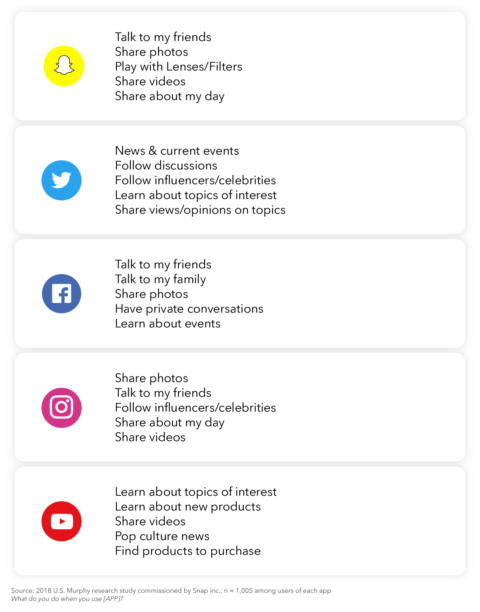 Instagram was purely used for sharing photos, videos and following influencers or celebrities. 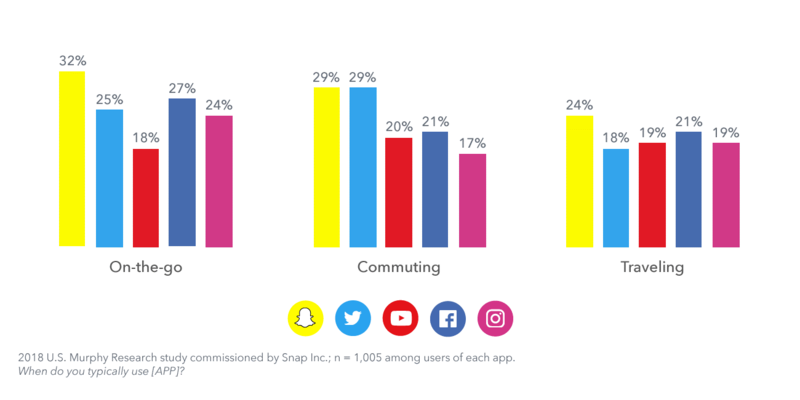 Snapchat was mostly used when the users were on-the-go, went shopping, hanged out with friends or attended social events. Facebook was mainly used at home, traveling or if not able to sleep. Twitter was mainly used while commuting and attending social events. 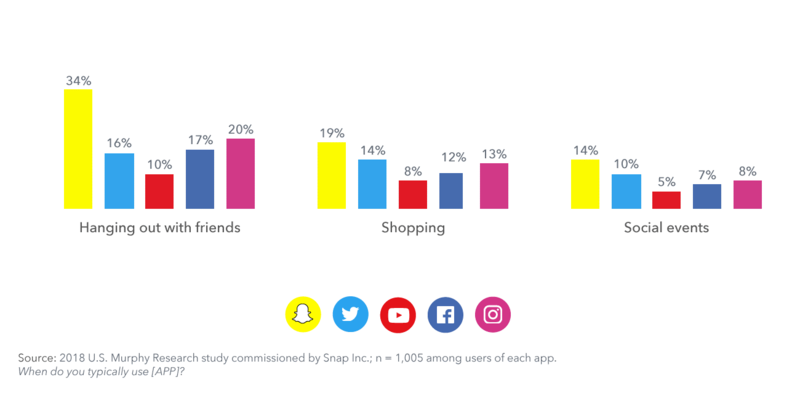 Instagram was majorly used while shopping and hanging out with buddies. YouTube was mostly used when users were at home and not able to sleep. A total of 1,005 app users were surveyed who were in the age group 13-44. These type of surveys are generally conducted by companies to analyze the market and to check their popularity among a group of users.